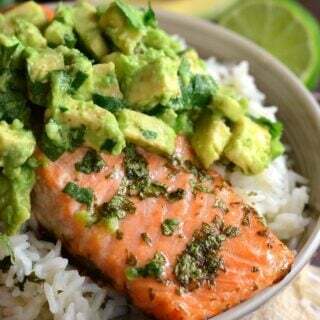 Amazing and simple comfort dinner. 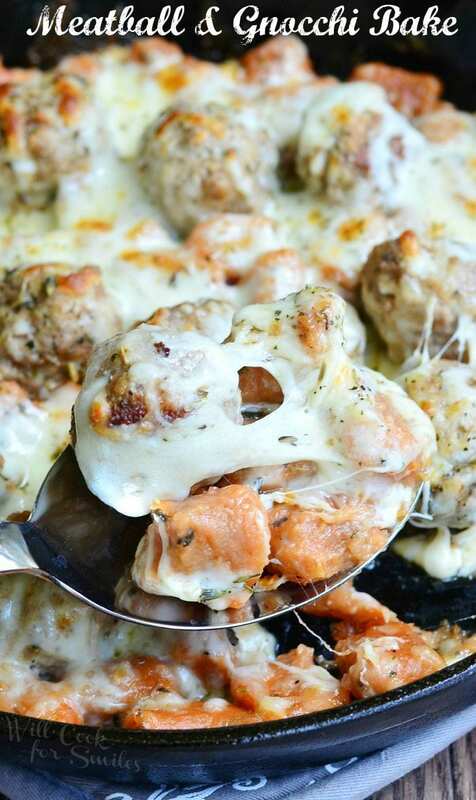 Delicious meatballs baked with gnocchi and smothered in gooey cheese. 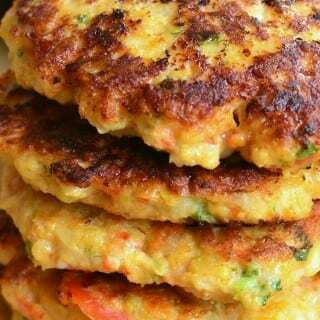 I don’t care that it’s still (very, very) warm, I want comfort food! 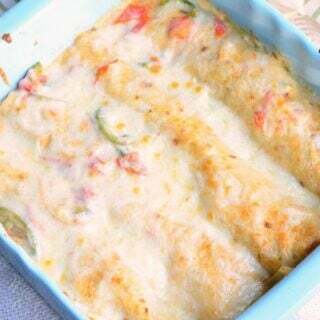 I’ve waited the whole summer and I can’t wait anymore, I want need comfort food now. Last week, I made some Tomato Herb Gnocchi and of course, I had to follow that with an amazing dish. 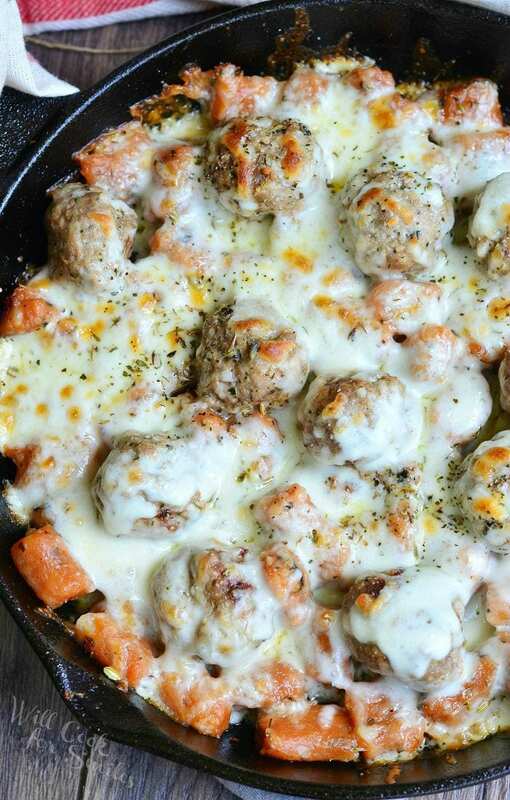 Meatballs seemed like the best pair for some gnocchi and lot’s of cheese is a must. 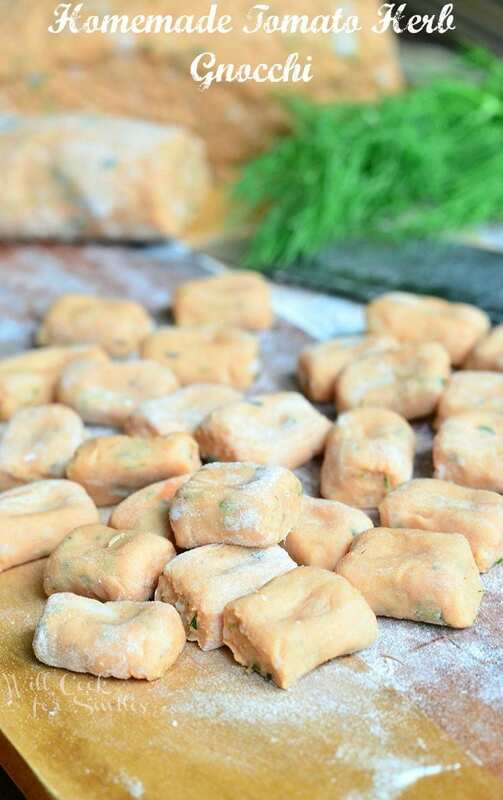 Now, you absolutely don’t have to make the tomato herb gnocchi, you can use classic gnocchi for this dish, whether it’s homemade or store-bought. Another thing that can be optional, is the addition of marinara. I definitely recommend it if you are using classic gnocchi, to add some of that tomato sauce deliciousness. 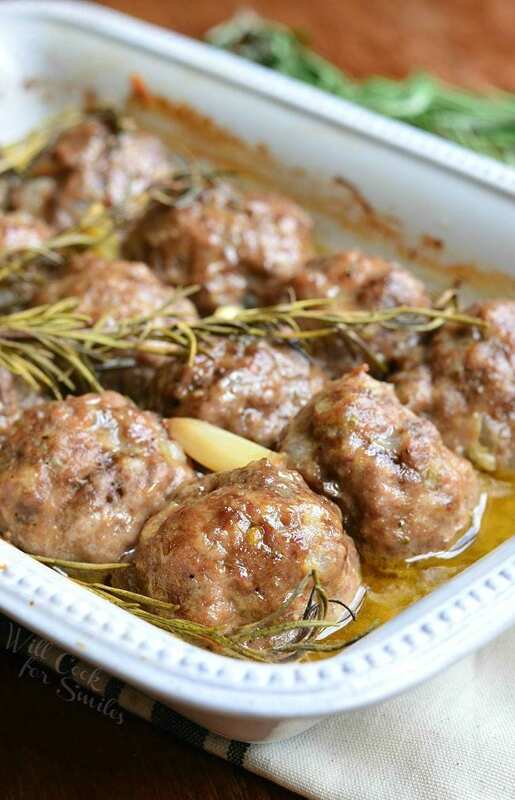 Deee-licious dinner awaits you either way you go, so make sure to wear stretchy pants! 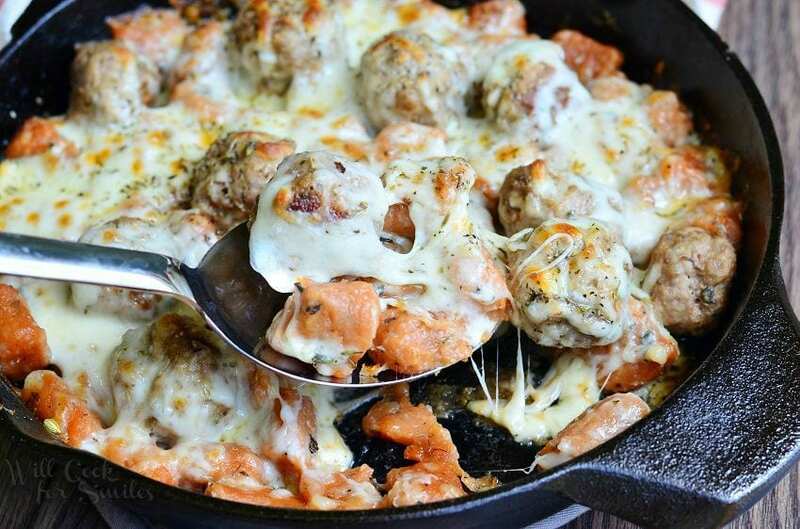 Delicious meatballs baked with gnocchi and smothered in gooey cheese. 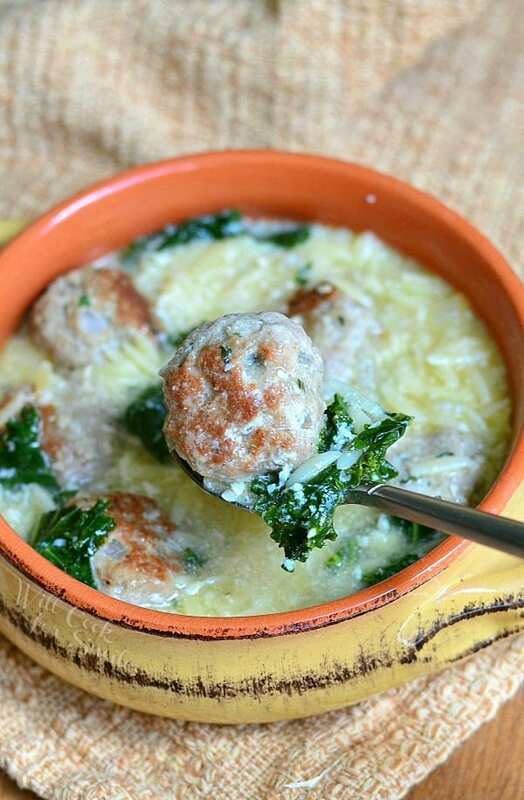 Combine ingredients for meatballs in the mixing bowl and mix until all evenly combined. 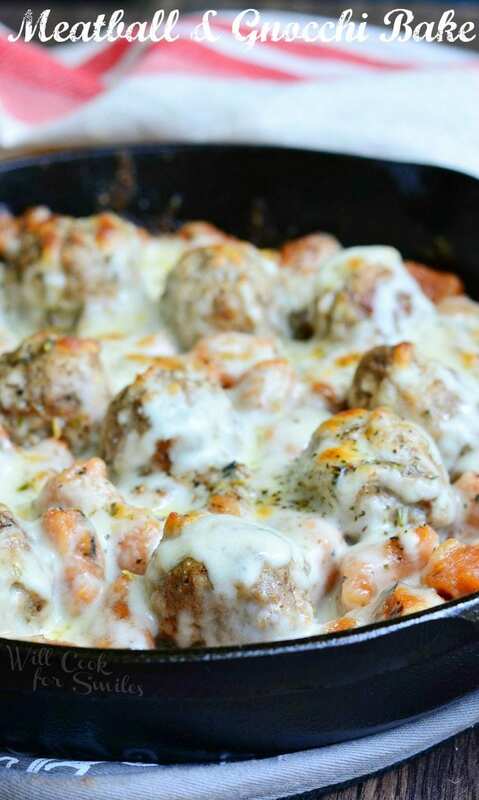 Roll 1/2 inch meatballs. 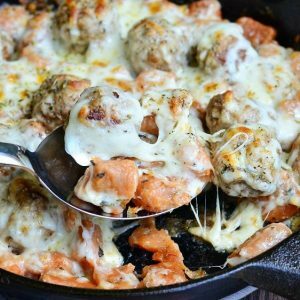 Preheat a large oven-proof skillet over medium heat with a little bit of oil and cook meatballs until almost done. Take out and set aside. 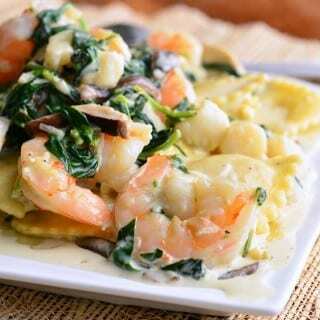 Place gnocchi on the same skillet and saute until golden on each side. Add 1/4 cup broth and let gnocchi soak it in while cooking. If you will be using marinara, add it to the bowl with a little salt and mix well. 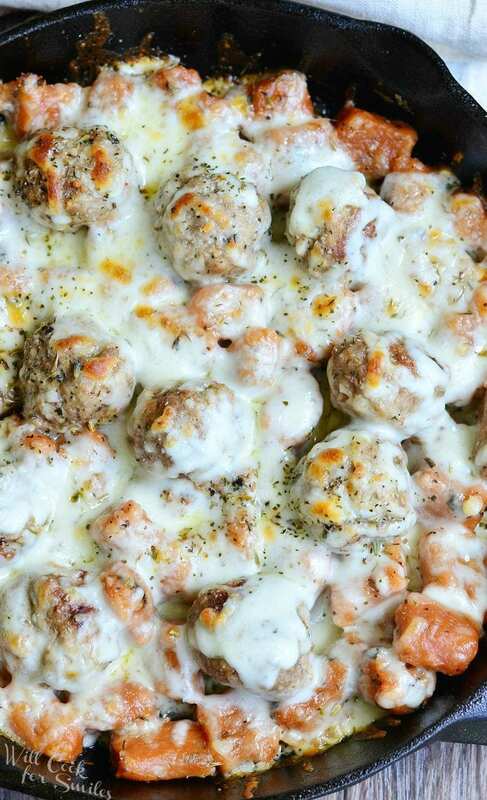 Add meatballs and spread mozzarella cheese over the top. 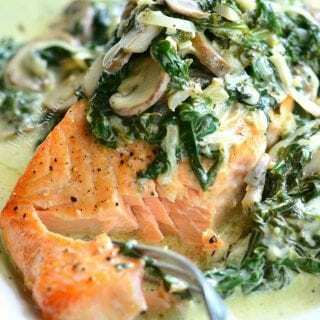 Sprinkle herb de provence and bake for 10 minutes. 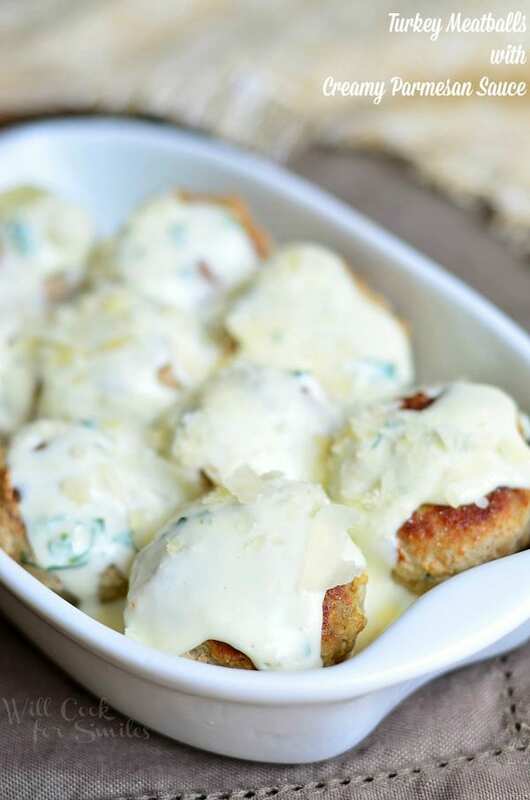 Chicken Bacon Ranch Gnocchi from What’s Cooking Love? You’ve won my heart!!! 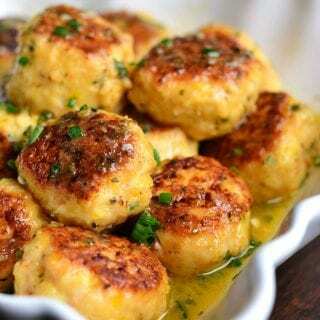 Polpette and gnocchi — the epitome of comfort food. I’ve pinned and printed the recipe. Grazie mille. The photos are fantastic. Thank you, Marisa 🙂 !